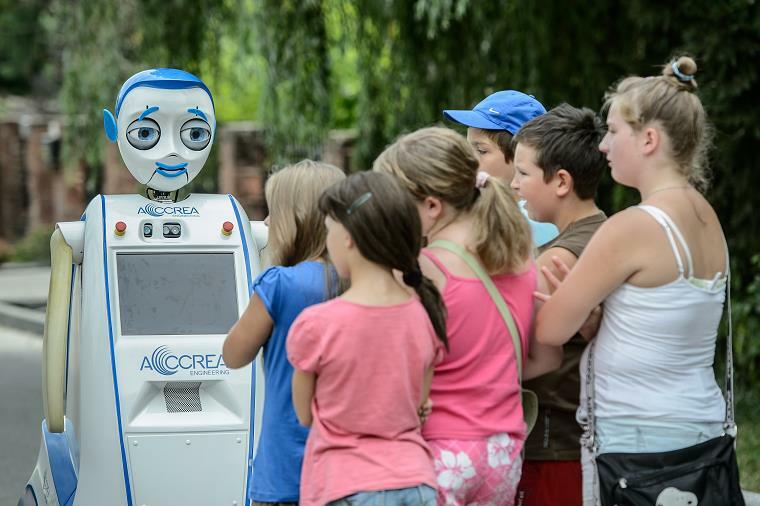 IURO (Interactive Urban Robot) - Is a part of the EU-STREP project IURO. 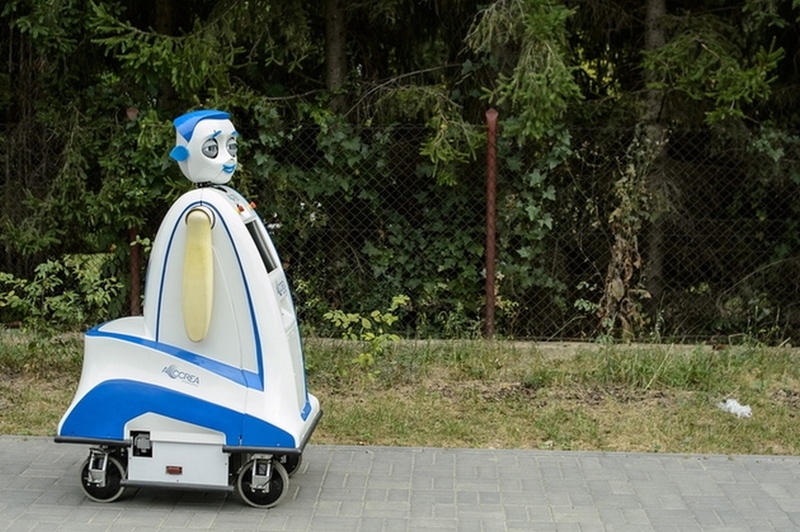 IURO (Interactive Urban Robot) – Is a part of the EU-STREP project IURO (Interactive Urban Robot), supported by the 7th Framework Programme of the European Union, ICT Challenge 2 Cognitive Systems and Robotics. The goal of the project is to develop and implement methods and technologies enabling robots to navigate and interact in densely populated, unknown human-centred environments and retrieve information from human partners in order to achieve a given navigation or interaction goal. 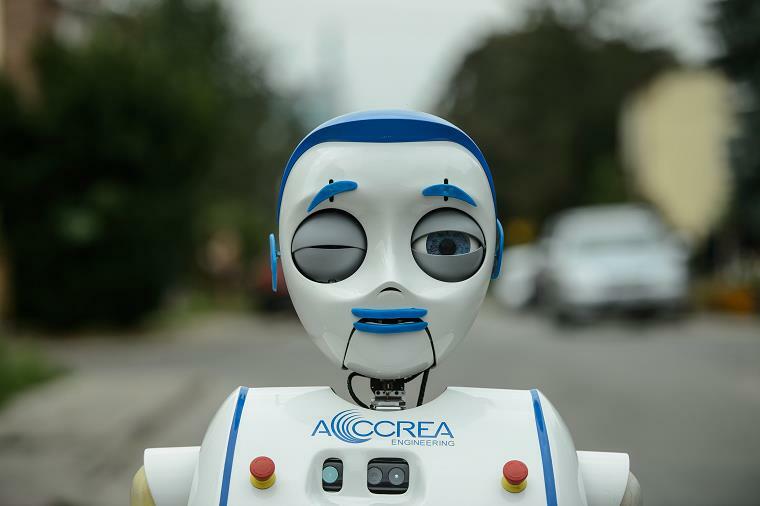 Iuro can approach humans and ask them for directions to help it navigate around cities while acting in a “socially acceptable manner,” but at IROS, the robot was randomly (and hilariously) shifting back and forth between expressions of happiness, disgust, and astonishment. 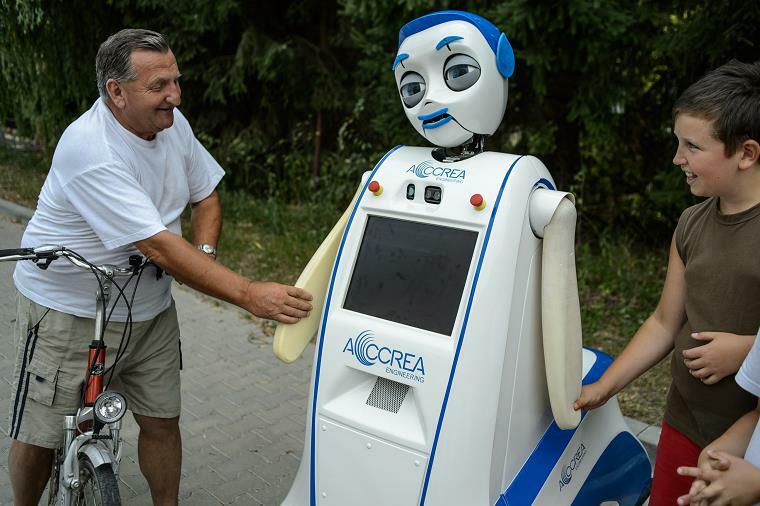 Iuro, or Interactive Urban Robot, is manufactured by Accrea Engineering and is being used for research through a partnership between Technische Universität München, ETH Zürich, and the University of Salzburg. The platform is beefy and designed to be able to cope with typical urban obstacles like stairs and curbs, thanks to big shock-absorbing wheels and a suite of laser sensors on the base. 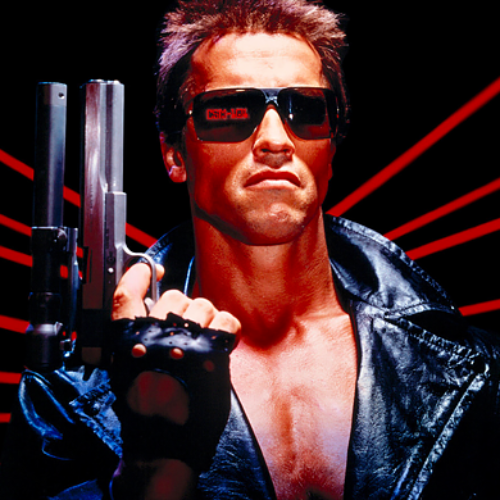 The overall goal with Iuro is to teach robots to navigate using symbolic location identification, like “go down that street over there and take a left when you see the bus stop.” Even humans have trouble with this sort of thing in unknown environments, and for robots, understanding those kinds of instructions requires the ability to recognize and interpret gestures, translating the vague wave of a hand that might accompany a phrase like “over there” into a direction. 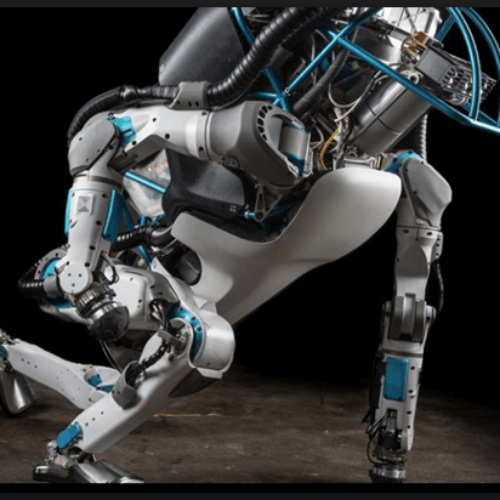 This research will eventually enable autonomous robots to figure out what they don’t know and then ask the nearest human for help, without needing that human to provide information in the form of if/then statements. 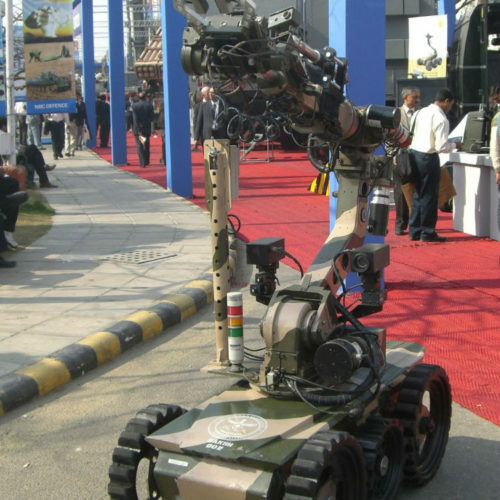 Are Killer Robots On The Way? Now They Can Open Doors!! !